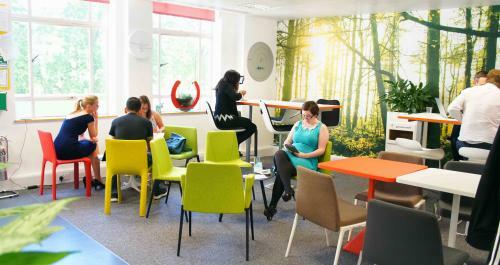 Our London, Soho centre offers dedicated deskspace in our coworking space whether you are 1 or more. Our workspace offers a cost-effective, fully serviced office solution to help you grow your business at the pace that’s right for you, with total flexibility. Deskspace and workspace are kitted out with the latest office technology, including super-fast wireless broadband and videoconferencing. Meeting space are available on-demand and our vibrant community of members makes eOffice a great place to connect, collaborate and share.